I remember some about this story a few years ago. I don’t think the formula for the Roman mix was well understood at that time. Portland Cement doesn’t cut it. Glad they made this breakthrough, it should help build more durable structures. This is an interesting development for an Irish coastal town. Their beach was washed out to sea during storms in 1984, and this year without warning, it came back. Yes, this is the sort of deranged partisanship that makes Canada’s most popular Premier able to slither out of responsibility for an oil spill that has poisoned the major drinking water source for Saskatchewan’s 3rd largest city and other cities and towns and farms and beyond. Naw, it’s just a Big Red Herring, apparently. That damn bird might cost the province future pipelines, and isn’t that the real tragedy here? “The company responsible, Husky Energy, has been very cooperative and as soon as they were aware of the incident they notified us,” Kotyk said [Friday]. “In an email, Husky communications official Mel Duval confirmed with CBC that the report submitted to government was incorrect. The deputy minister for the Ministry of Economy, which regulates pipelines, said Husky has an emergency response plan in place, filed with the government. But Laurie Pushor doesn’t know if it was followed. Good work Premier Brad Wall. Bravo. Encore? We have a SOUTH Saskatchewan River too awaiting your next slick triumph. But one of the big issues for Brad Wall, a major proponent for the proposed Keystone XL pipeline, was the Husky Energy oil spill into the North Saskatchewan River at Maidstone Thursday morning. Wall says he hopes this spill does not make it harder to sell new energy infrastructure. He points out that if it isn’t moved by pipeline it will be moved by rail and he says rail is more susceptible to spills, combined with the greenhouse gas emissions given off by the trains themselves. Wall says the first priority in regards to the Husky Energy spill is to get it cleaned up but pointed out that while pipelines remain imperfect in terms of a conveyance for oil, they’re still the safest way to move oil and it is 4.5 times more likely to have an oil spill on a rail car than a pipeline. So, how about those train emissions, eh? Building a pipeline is done with fairy dust and unicorn labour, I guess? ADDED: I hope this disaster doesn’t lead to a bigger disaster that takes the form of harming the sale of my most cherished oil distribution technologies I campaigned on expanding. October is coming with freezing nights. Ferris said the city of Prince Albert, farther along the river, was building a temporary pipeline (hose) of up to 30 km (19 miles) to draw water from another river. There is no need to give pollution a chance to overwhelm our water and enter our food chain. Plastic microbeads are considered a toxin by your own scientists, and there is no need for them to be in personal care products like face cream and toothpaste. If an abrasive, non-toxic substance is desired by manufacturers and consumers, use sand. End the consultation period now, and proceed with the ban immediately. During health studies of new drugs, if they are found by science to cause obvious harm or benefit, the testing may end early. This is no different. Microbeads should not have been approved in the first place (if they ever were approved). They remain on the shelves of Real Canadian Superstore today, and it’s a disgrace they haven’t been recalled. Oil and Gas Still Not Four Letter Words? 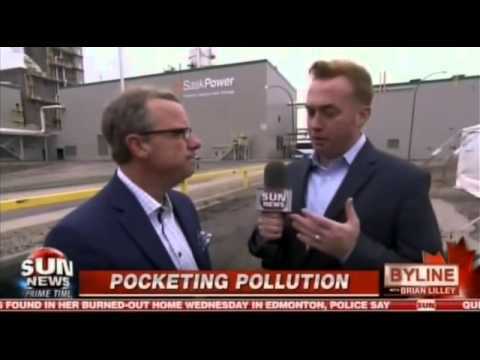 Brad Wall, speaking directly to oil and gas men, remarked that he thinks Ottawa needs a “champion” of non-renewable energy. There’s been more than enough support for that industry in the past decades. This is a good sector, that oil and gas are not four letter words. That they create untold quality of life and wealth for all Canadians. Let’s make that case. “The smartphones they use perhaps to send you angry Tweets about your industry or send you texts,” he joked. It’s unclear if clean water or clean air that made Wall’s speech possible had been consumed by the Premier, or if he’d denied himself these things his policies aim to end. Clearly he’d have difficulty making arguments against having these necessities, without clean air and water throughout his life. 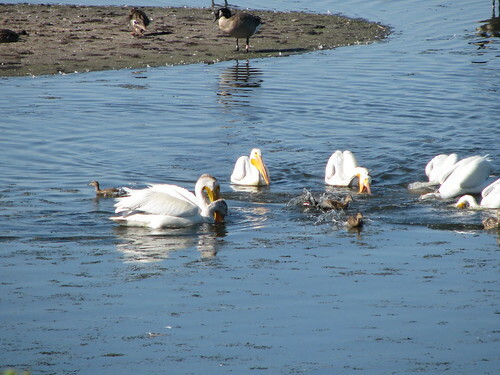 I never noticed Pelicans on Wascana Lake before about 3 years ago. 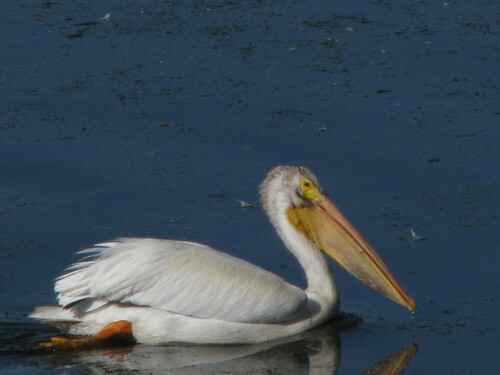 Before that, they were common on the South Saskatchewan River through Saskatoon.